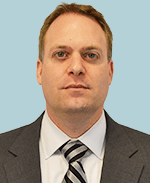 Brian Loffredo is an attorney with Offit Kurman, P.A., a mid-Atlantic law firm. Brian has assisted hundreds of franchisees nationwide with their FDD and franchise agreement reviews. If you have questions with this article, or would like an initial consultation to discuss your FDD review, call him at (301) 575-0345. A typical FDD review and consultation can be completed for under $2,000.00. Buying a franchise? If so, you will at some point be presented with what is known as a Franchise Disclosure Document (“FDD”). And if you are like most people, the sight of the FDD will make your heart skip a beat. A legal document as thick as a bible can never be good, right? Not necessarily. In theory, the FDD is supposed to help franchisees make informative decisions, and assist them in their due diligence. Without question, the FDD contains a great deal of useful information. However, the reality is that FDDs often cause analysis paralysis in franchisees. For this reason, franchisees should enlist the help of a franchise attorney to assist them with extracting and prioritizing the information presented in the FDD. Among the most important pieces of information in the FDD is the franchise agreement. The franchise agreement forms the basis of the relationship between the franchisee and the franchisor. It lays out the rules of the game. Therefore, it is imperative that franchisees understand what is contained in their franchise agreements. Many franchisors will negotiate certain terms in their franchise agreements. For franchisees wishing to engage in such negotiations, understanding the agreement is key. However, even where franchisors will not agree to negotiate, a proper review is still vital, because it can help franchisees recognize issues that may arise in the future. Of course most franchisees cannot remember every legal detail of their franchise agreements. However, with the proper counseling, most franchisees can obtain enough knowledge to spot important issues before they become problems during the franchise agreement. Franchisees spend a great deal of time conducting due diligence. They review their leases, conduct market analysis, contact other franchisees, go to discovery days, etc. However, many franchisees fail to invest the time and energy necessary to understand the FDD and the franchise agreement they are signing. These franchisees are not fully invested in their businesses, and lack a basic understanding of what franchising is all about. 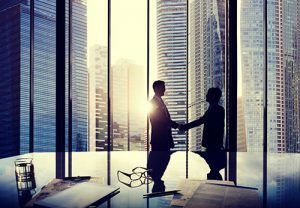 Competent franchise counsel can change the way franchisees approach their franchises, and provide protections along with way. Items 1 and 2.These items include information about the company and its affiliates. They also provide information as to the business experience of the executives in charge of the franchisor. Executives with less franchise experience should be eyed carefully. Prospective franchisees may also wish to research the executives listed, to see if those executives have worked for failing franchise systems in the past. Item 3. This item discloses certain litigation to which the franchisor is a party. A large number of cases can be an indicator of a troubled system. This is particularly true if the cases involve allegations of fraud against the Franchisor. However, the number of litigation cases will mean different things depending on the size of the system. A small system with many cases is more troubling than a large system with a few disgruntled franchisees. Item 12. This item discusses whether or not you will receive a protected territory, and may discuss circumstances where you can lose that territory. For many franchisees, a protected territory is vital. Therefore, franchisees should pay careful attention to this section, and should pay equal attention to the franchise agreement, to make sure the territory is clearly set out. Item 13. This section discusses the franchisor’s trademarks. Because the marks are an important part of the franchise, franchisees should make sure that the marks are described, and that the franchisor has registered them with the U.S. Patent and Trademark Office. Item 20. Item 20 identifies other franchised outlets, as well as transfers of those outlets, in a tabular format. It also sets forth other information, such as projected openings. Item 20 breaks down the information by year and state, and it very useful for many purposes. For one thing, Item 20 can be indicator of the health of the system. Numerous transfers and terminations may indicate turmoil or unhappiness among franchisees. Additionally, a system that grows to fast may also be of concern, especially for a younger and less seasoned franchise system. The geographical location of other franchisees is also important. Franchisees opening in new and distant states may find that marketing dollars are less likely to be spent in their territories, and may also find that the franchised concept is not a good fit for their region of the country. Item 20 can thus serve a useful tool for franchisees conducting due diligence. Item 22. Item 22 includes what are without question the most important pieces of information – the contracts you will be required to sign, including the franchise agreement. Because the franchise relationship will continue for many years, it is imperative that you understand the franchise agreement before you sign it. While the FDD provides great summaries of certain provisions of the franchise agreement, it is the franchise agreement that counts. The above categories represent a small portion of the information that should be reviewed prior to opening a new franchise. Navigating through the world of information can be a daunting task. For this reason, every prospective franchisee should consider having an attorney review their FDD and franchise agreement. A skilled franchise attorney can guide you through the licensing process, protect your interests, and help you become invested in your new franchise. If you have any questions regarding the content of this article, or any other franchise law matter, please contact Brian Loffredo at 301.575.0345 or by e-mail at bloffredo@offitkurman.com. Brian Loffredo is a commercial litigator with more than fifteen years of experience representing clients in the franchise industry. Brian routinely assists clients during the licensing and franchise/FDD review process, as well as with the resolution of franchise-related disputes, including those involving terminations, territorial disputes, fraud, disclosure/relationship law violations and breaches of contract. In addition, Brian represents and counsels clients in the construction industry on matters involving litigation, construction defects, licensing and compliance, collections, mechanic’s liens, payment bond and Miller Act claims, contract drafting, and compliance with home improvement laws and other construction industry laws. Brian also has extensive experience representing financial institutions with workouts, collections and residential / commercial foreclosures.